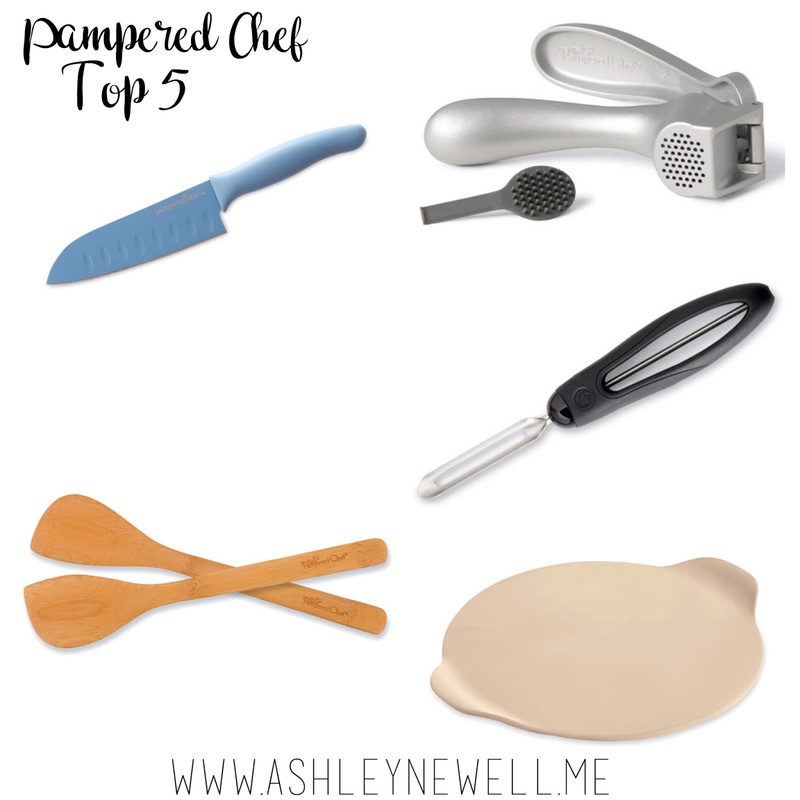 AshleyNewell.me: My Top 5 Pampered Chef Faves and a PARTY! My Top 5 Pampered Chef Faves and a PARTY! Hello! I'm currently hosting a Pampered Chef party which you can join on my party Facebook group or you can shop directly through my link. I used to be a Pampered Chef consultant and I love their products! I just ran out of Italian Seasoning and I decided that I should just have a party instead of just ordering a new one because what fun would just ordering something online be? I know, I'm whimsical, this is how I live my life. I figured it would be fun to share my very favorite products with you. Most of the products I have are from when I was a consultant... in 2005! Can you believe it? (I'm aging myself.) It took me a while to figure out that I should buy quality items that last a long time. 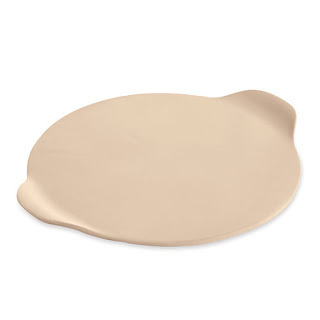 Pampered Chef products have great warranties on them too! Just be sure to save all your receipts. I put them under my cutting boards, a consultant told me once to do that and I thought it was a great tip. 1. 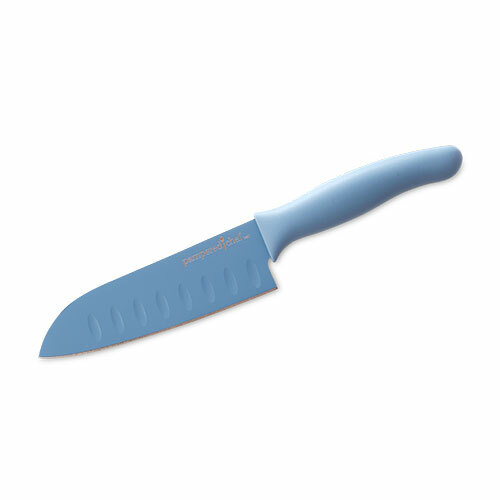 Coated Santoku Knife. I bought mine when the ceramic line launched with Pampered Chef and I have no idea how long ago that was but I still have mine and it's still one of my favorite knives. I love it for chopping vegetables! 2. Garlic Press. This is probably the most used specialty kitchen tool I have. I do not have the patience to mince garlic and I hate the way my hands smell after. 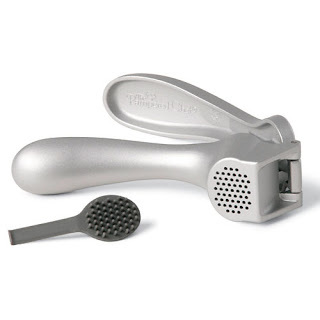 I've probably had my garlic press for 12 years. I still use it 3+ times a week and it's holding up great. I will also press ginger in this press. 3. Vegetable Peeler. You guys, I went through SO many vegetable peelers before this one. Fancy veggie peels even. I hated all of them. My friend told me to order the Pampered Chef one and I was unsure. It didn't look like any special. It looked plain and ordinary. I ate my words. 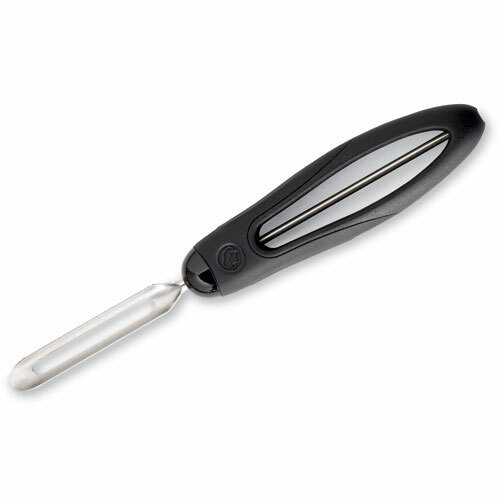 I still have the original peeler I bought 12 years ago and I still love it. No frills, it just works and that's all I want in my life. 4. Bamboo Spatula Set. These are SO much better than regular wooden spoons. The texture of the bamboo keeps them from staining and splintering. Bamboo is not only sustainable but harder that traditional wood so these are great for breaking up meat when you are browning up hamburger or ground turkey. I use these almost every time I cook and again, I have the same set I've had for 12 years. 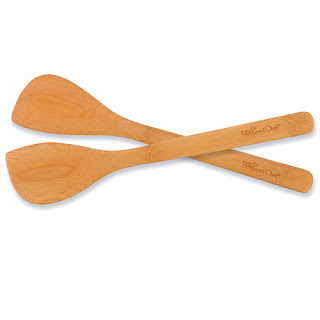 The Bamboo Spoons and Bamboo Specialty Spatulas are all awesome too! 5. Large Round Stone. I have a lot of the stoneware from Pampered Chef and I like all of it but I use my large round stone the most. I love this for cooking pizza! I don't like soggy crust and I feel like the stone really helps to get crunchy crust. I also use this stone to bake biscuits and other bread type items. I like the preheat my stone in the oven while it's pre-heating and that helps with giving things a nice crisp underside. Honestly, I could keep going on and on about these products! I really love them! The only reason I stopped being a consultant was that I didn't like cooking and cleaning in other people's kitchens. This post is not sponsored. If you purchase during my party through my link, you'll help me to earn some hostess credit but that's it. I hope you found this post helpful! Mix and Chop is awesome! My garlic press is 14 years old and going strong! I have a couple of things from Pampered Chef and everything has held up so well. I was lucky enough to score a small saucepan at a local thrift shop for less than $1 and it's amazing. I wish I had all my pans from them. I have the Pizza stone and large covered baker. they are BOTH amazing! !